AWARD-winning hip-hop musician Takura has dished out advice to newly married couple Tytan and Olinda in a new song titled, "Jehovah". A week ago, Olinda took to social media with a statement about leaked conversations of her husband flirting with another woman online. 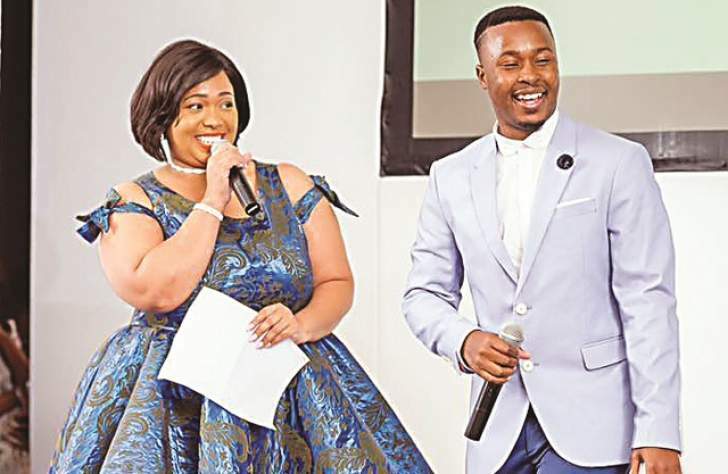 Many expected Olinda to butcher Tytan on social media but she took many by surprise by saying: "We will get through this. It's not the end of the world. Everyone flirts . . . hell I was flirting with the KFC guy just to get a little extra chicken and free chips. Unfortunately you flirted with someone that was recording you and keeping a file and you fell for it." The "Mai Mwana" hit maker urged Tytan and Olinda to stay strong in their marriage. "Imwi Tytan naOlinda, musasiyane mazvinzwa", he sings in one verse from the song. Jehovah was released last week and the hip hop musician says the song was inspired by a sermon from Prophet Emmanuel Makandiwa. In the song, Takura speaks about his life, asking the Lord for more blessings and to take care of his son in case he dies young. Olinda appreciated the song by Takura and shared a series of links to the song on Facebook. She also quoted some lyrics from the song in some of her posts adding that it is her current favourite. The lyric video of the song, which was published on August 22 on YouTube, is trending at number 10 with over 45 000 views.